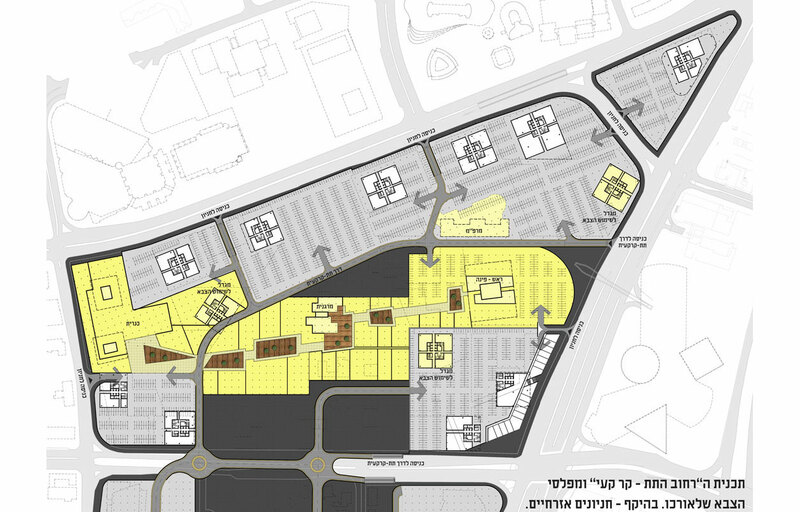 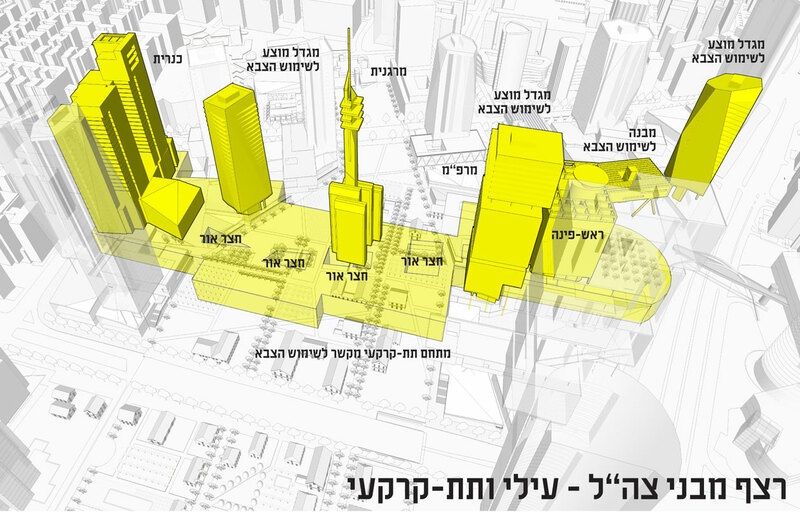 The urbanization of the present "Kirya" Israeli Defense Force Central Headquarters, situated in the heart of Tel-Aviv. 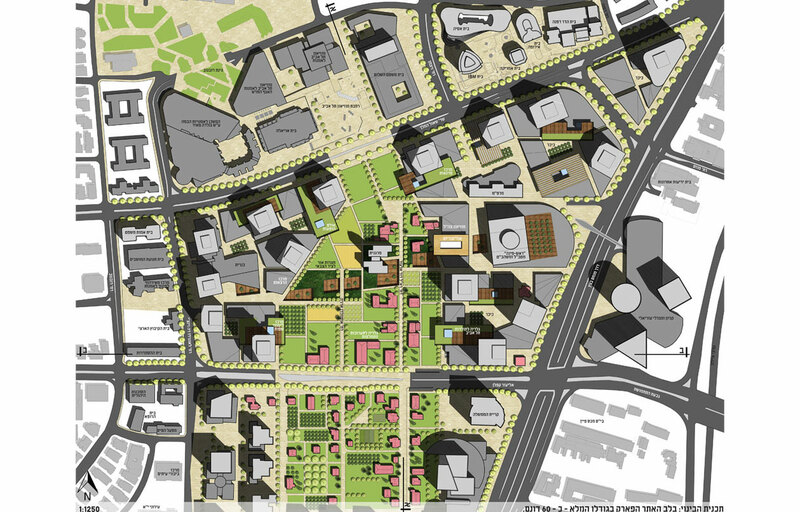 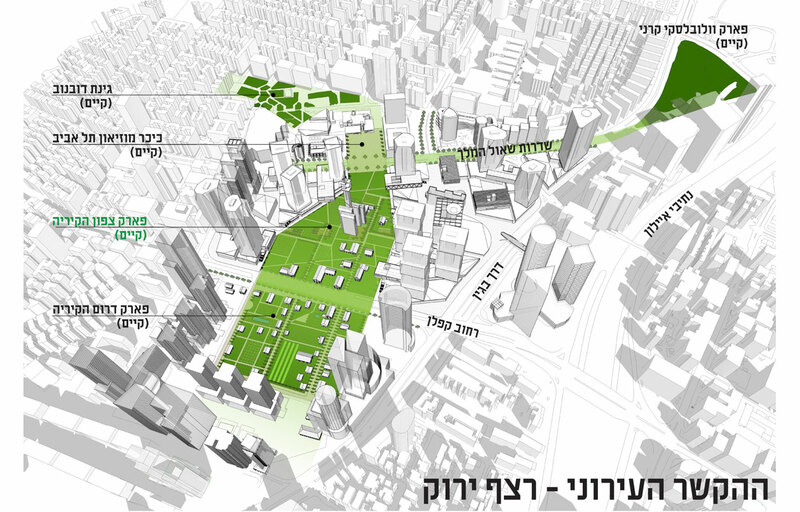 The present site serves as a "black hole" within the city fabric, bordered off by walls. 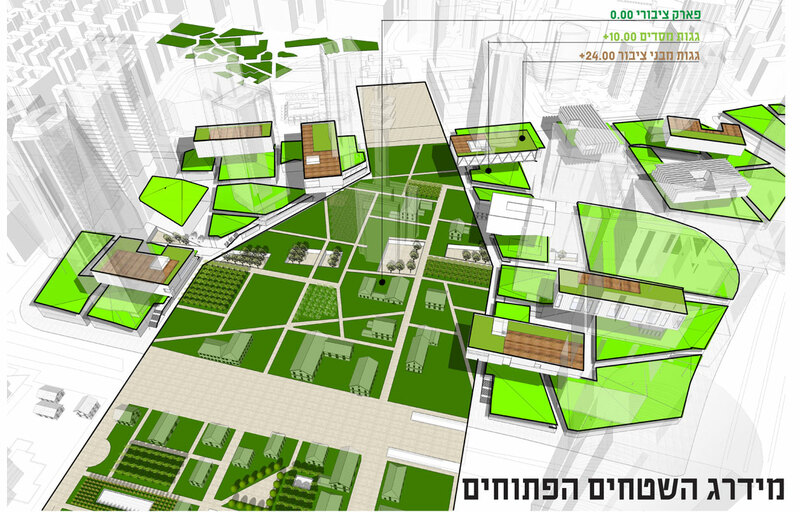 The idea was to shed these walls, create an intense CBD, around a central park. 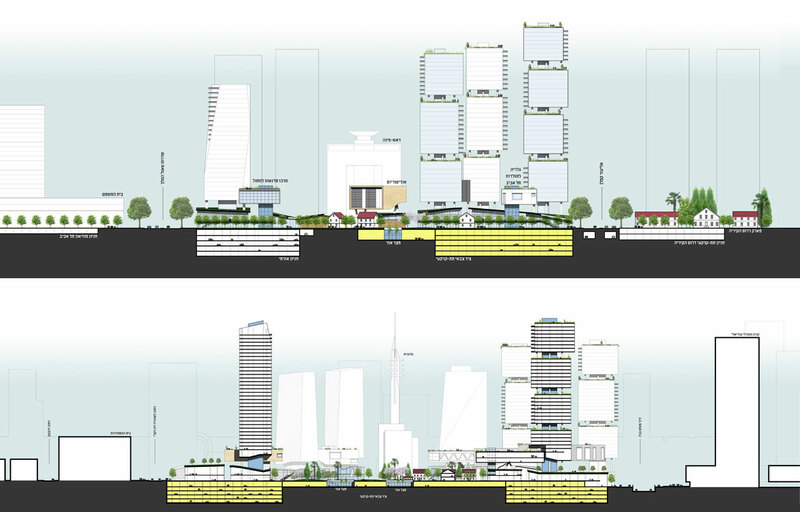 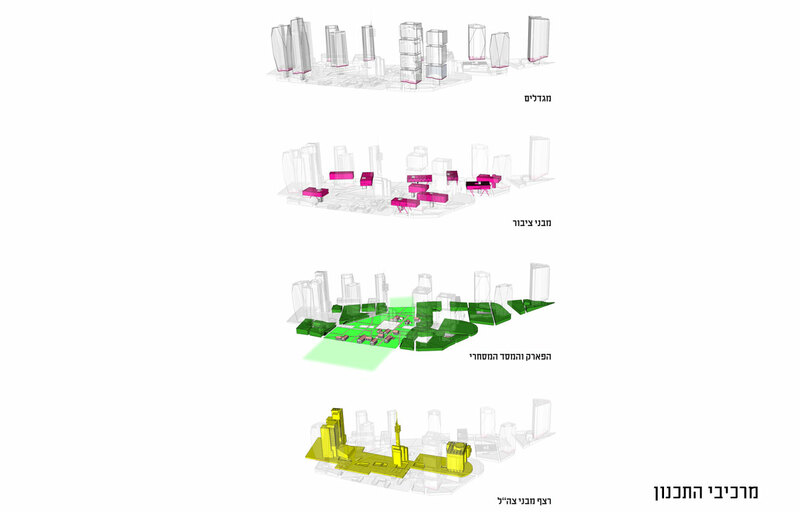 The IDF establishments would continue on a subsurface level, with their present highrise buildings serving as their entrance gates, the security needs focused on those specific gates rather then on the entire site. 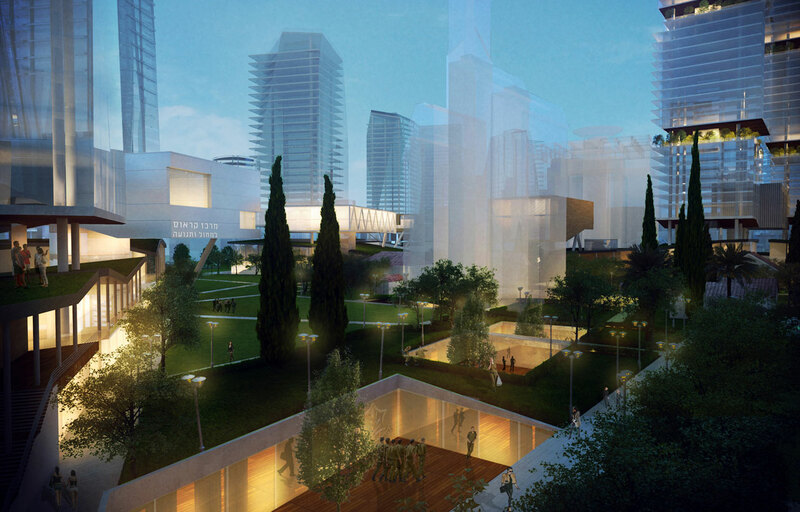 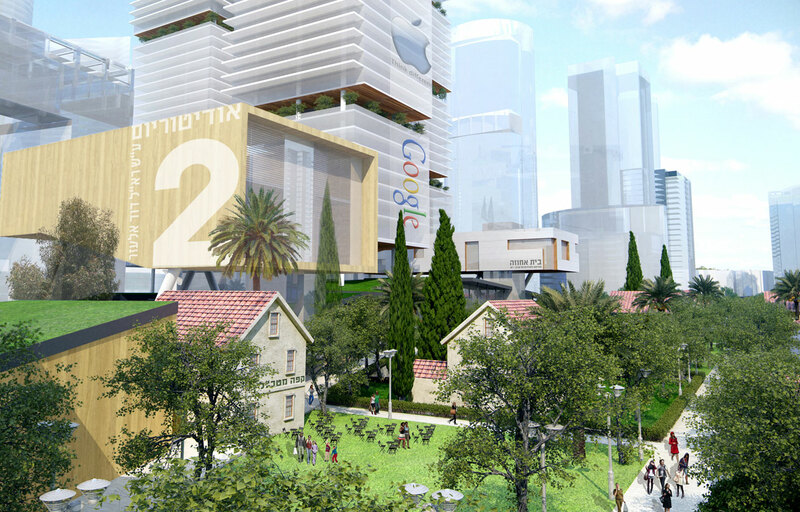 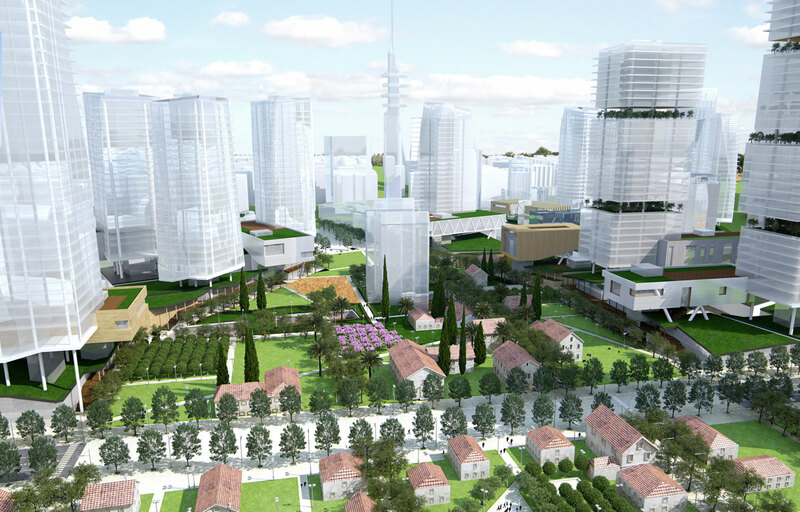 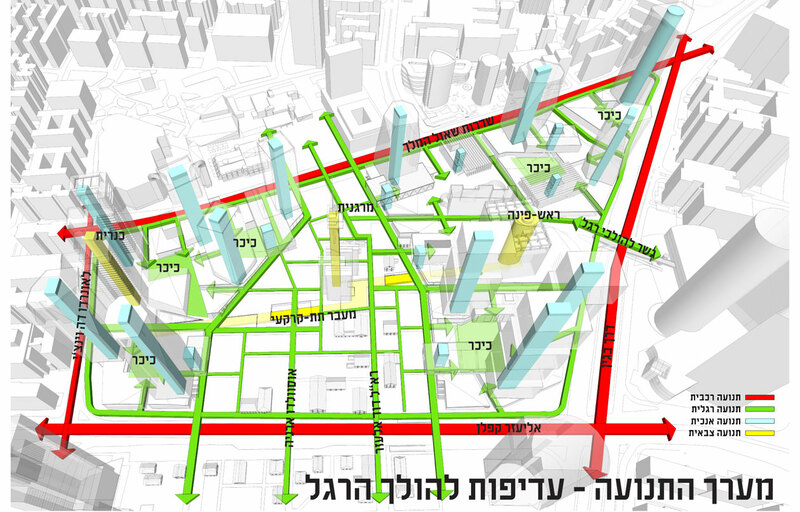 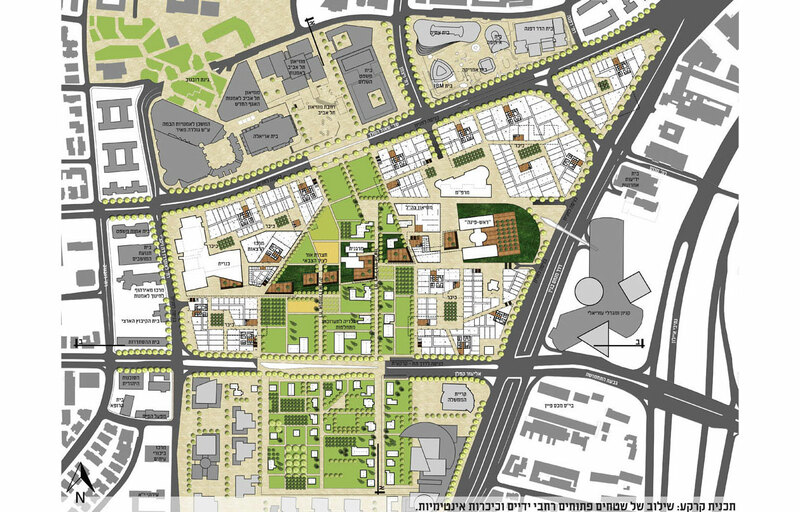 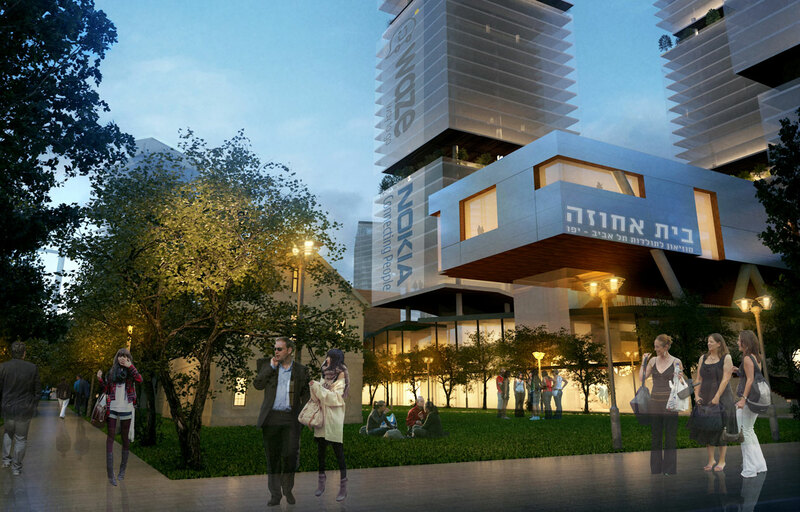 The park would be lined with public buildings continuing the cultural and public core of the Tel Aviv City Public Library, Museum and Court. 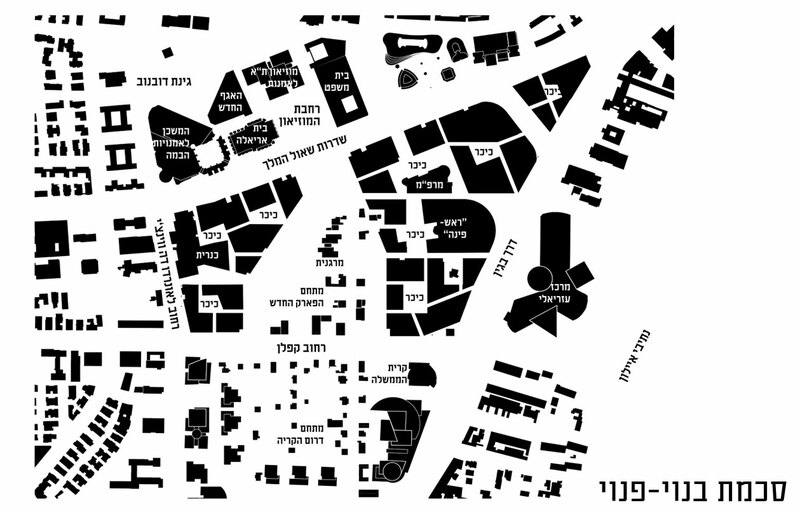 The urbanization of the present "Kirya" Israeli Defense Force Central Headquarters, situated in the heart of Tel-Aviv. 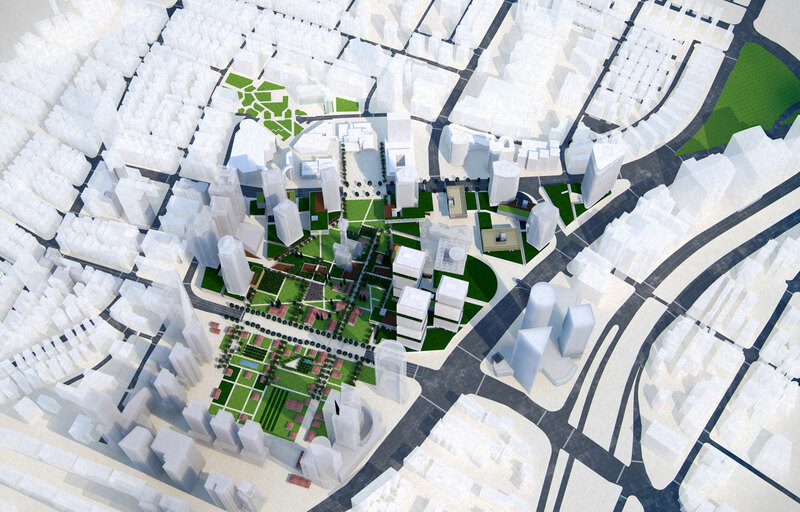 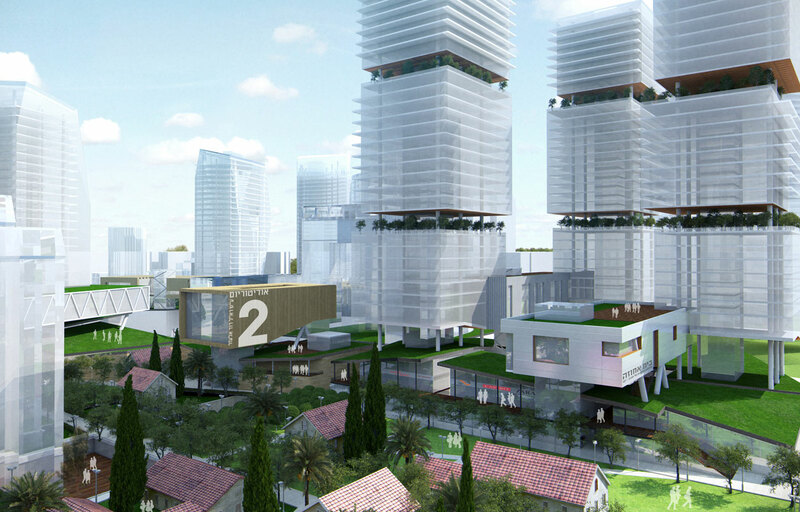 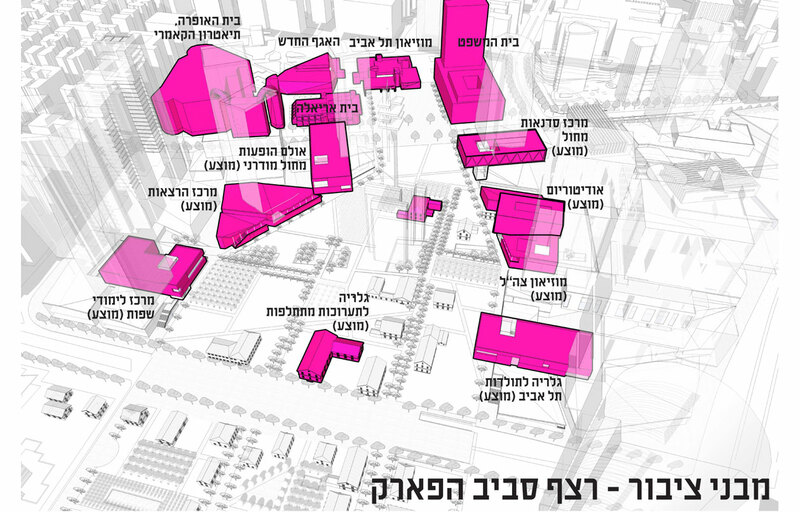 The park would be lined with public buildings continuing the cultural and public core of the Tel Aviv City Public Library, Museum and Court.